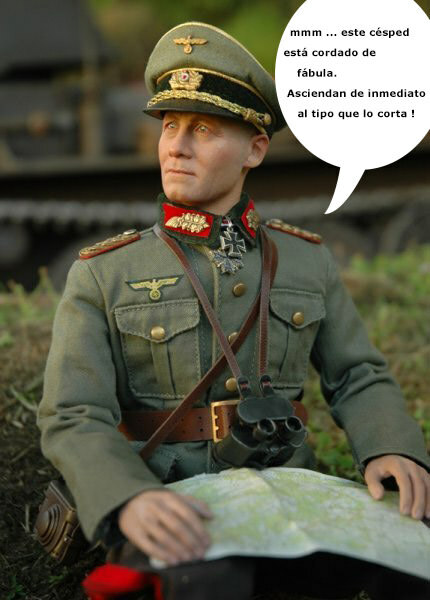 Dio- "I Would Rather Be The Hammer Than The Anvil"
Inicio » Foro » COSECHA PROPIA » DIORAMAS » Dio- "I Would Rather Be The Hammer Than The Anvil"
A couple of days back I received the wonderful Rommel figure made by my very good friend Jaime Fernandez, aka Montañes. I worked on the yard and got it ready for a quick afternoon photo shoot today. The figure is even more stunning in person than in the images you have seen, or will see here.